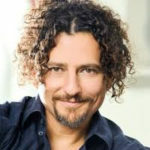 [section title="DAVID WOLFE" image="28031" overlay="dark" inner="light" align="center"] David "Avocado" Wolfe is a Speaker, Author, Earth Activist & Peak Performance Coach. With 25+ years of dedicated experience and having hosted 3000 live health events, David has led the environmental charge for radiant health via a positive mental attitude, eco-community building, living spring water, and the best-ever quality organic foods, wild foods, juices and herbs. David ‘Avocado’ Wolfe is the visionary founder and president of the non-profit The Fruit Tree Planting Foundation charity (www.ftpf.org) with a mission to plant 18 billion fruit, nut, and medicinal trees on Earth.